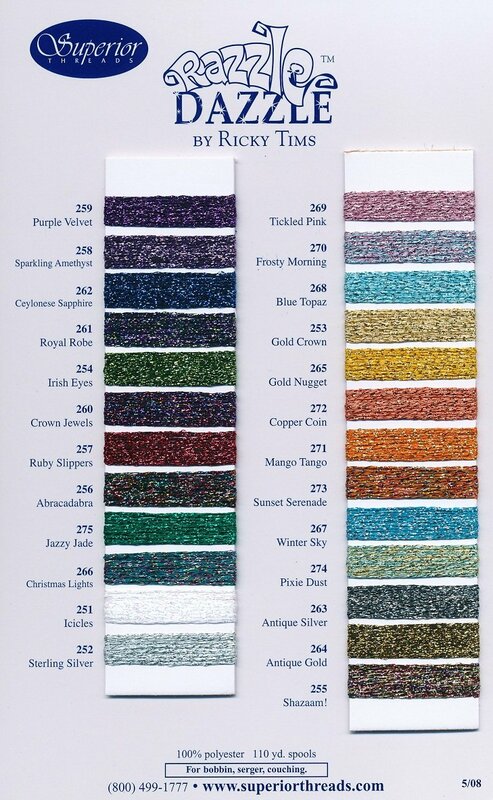 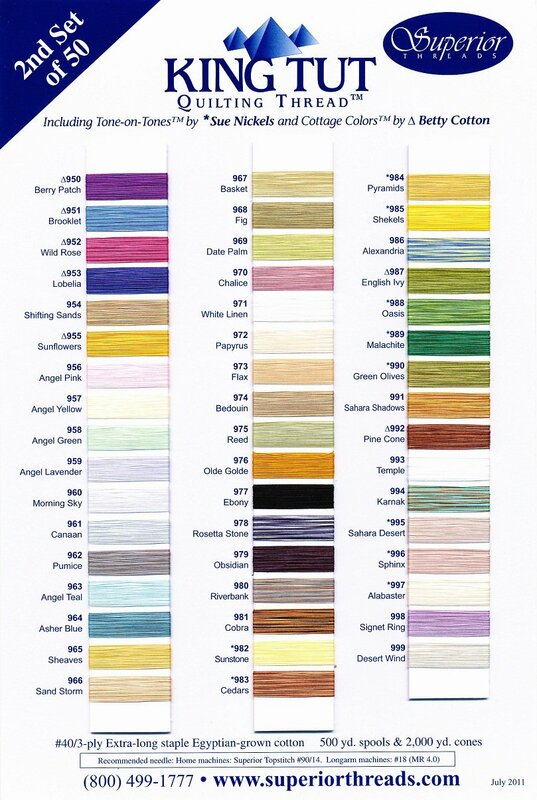 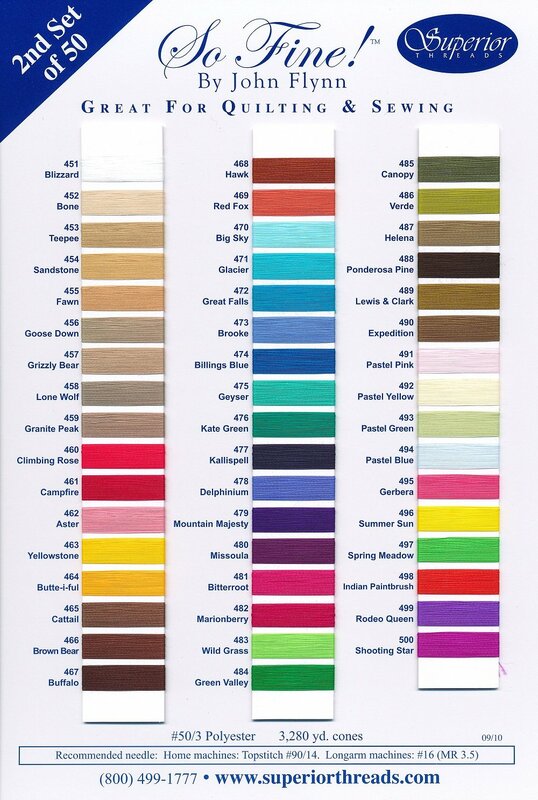 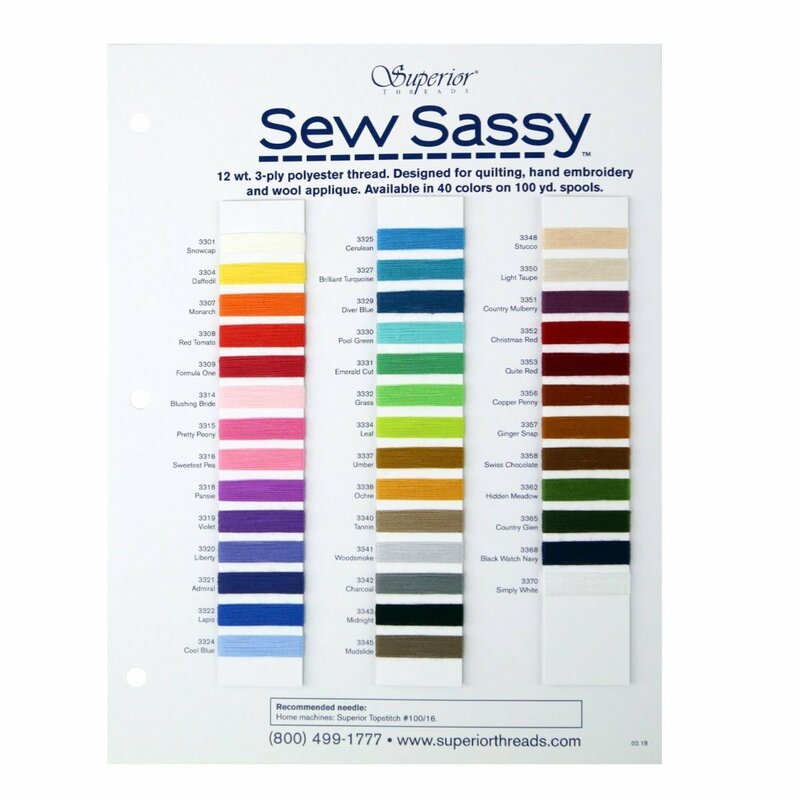 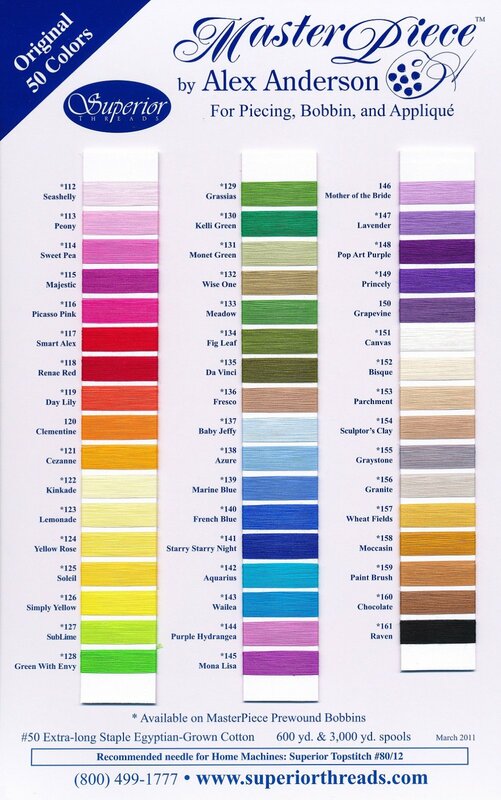 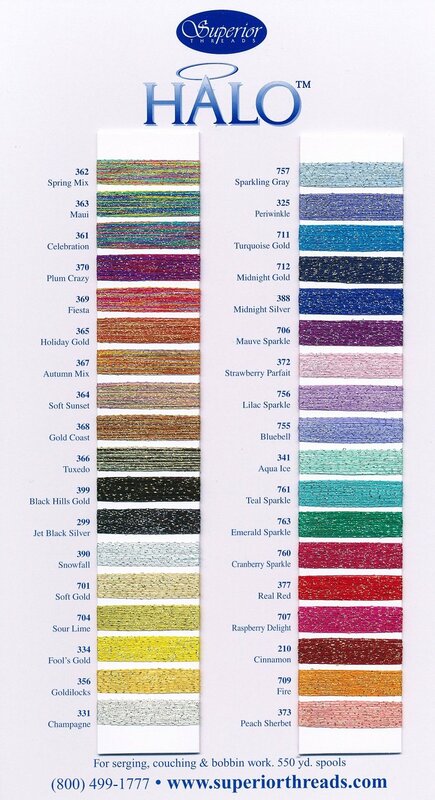 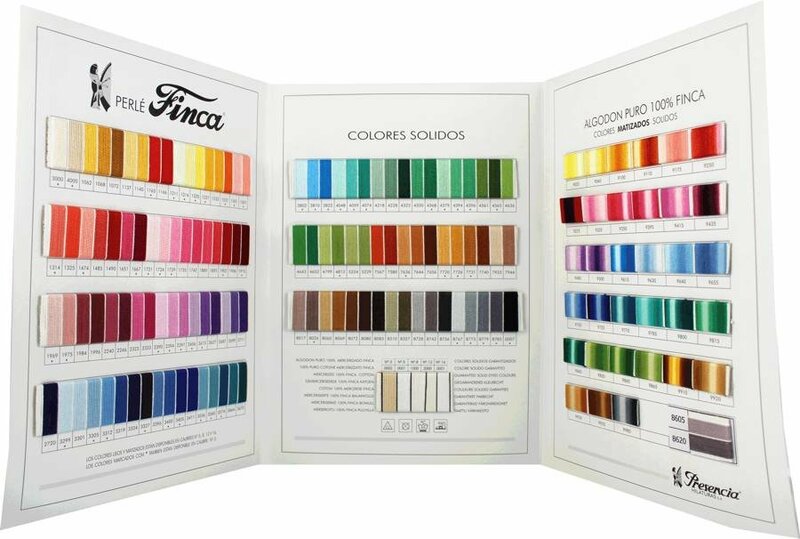 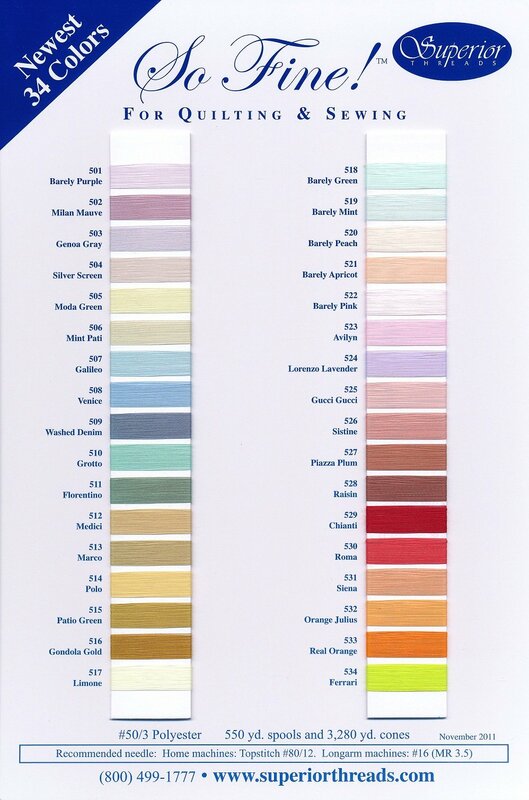 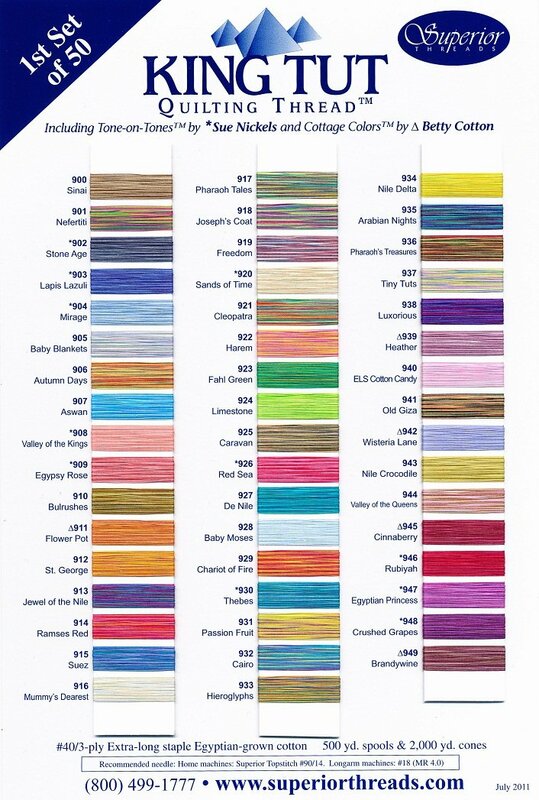 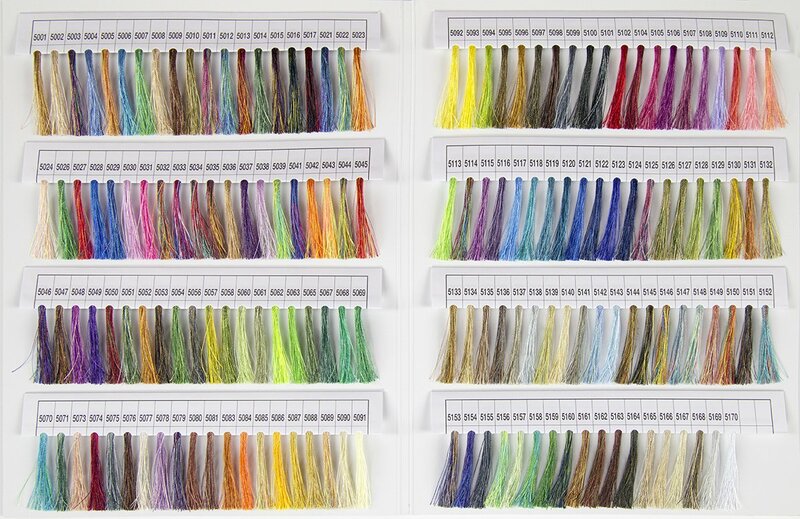 Made with actual thread samples so you have a perfect color match to choose the desired thread. 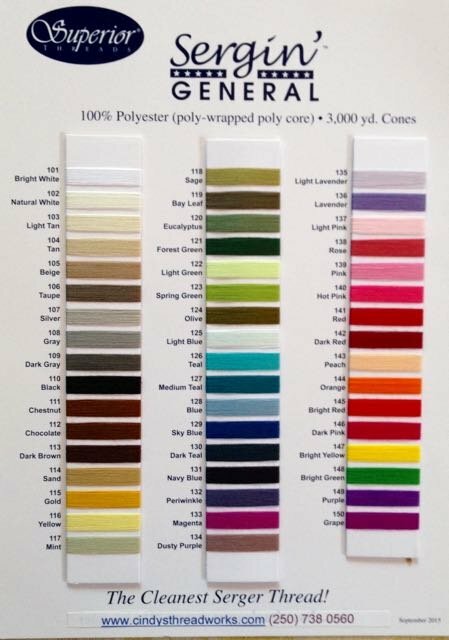 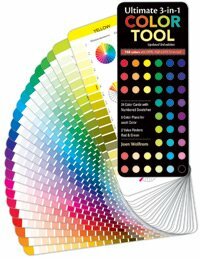 Available for most Superior thread lines. 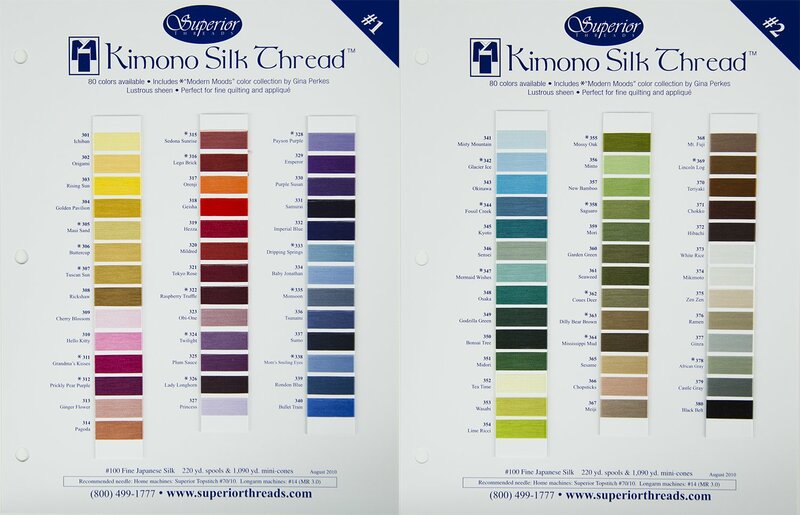 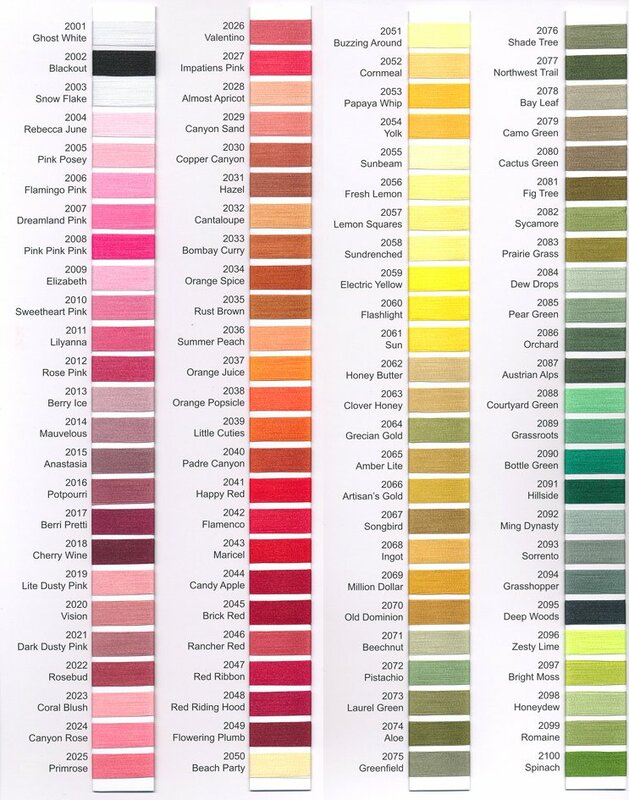 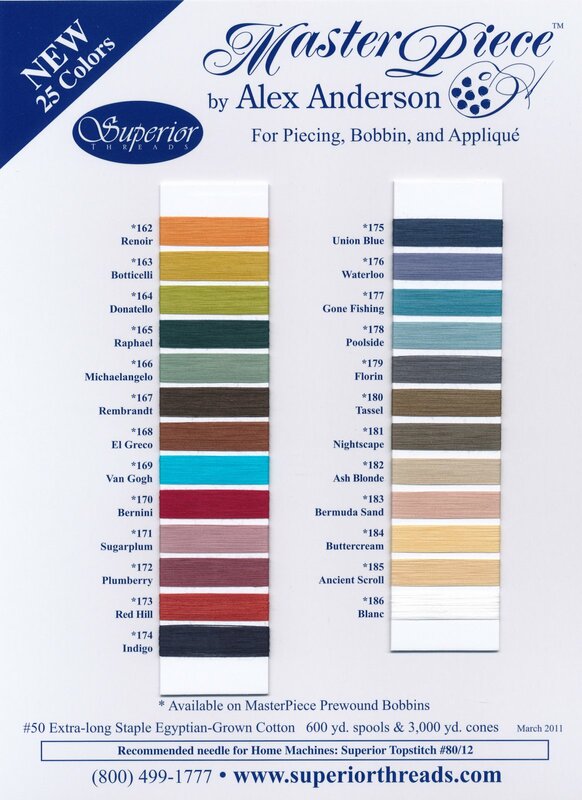 The benefit of having actual thread samples over printed material or computer screens is the true definition of color to match. 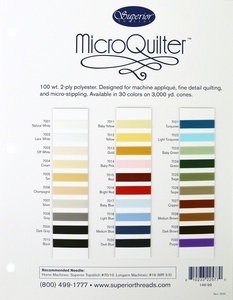 MASTERPIECE Color Card #2. 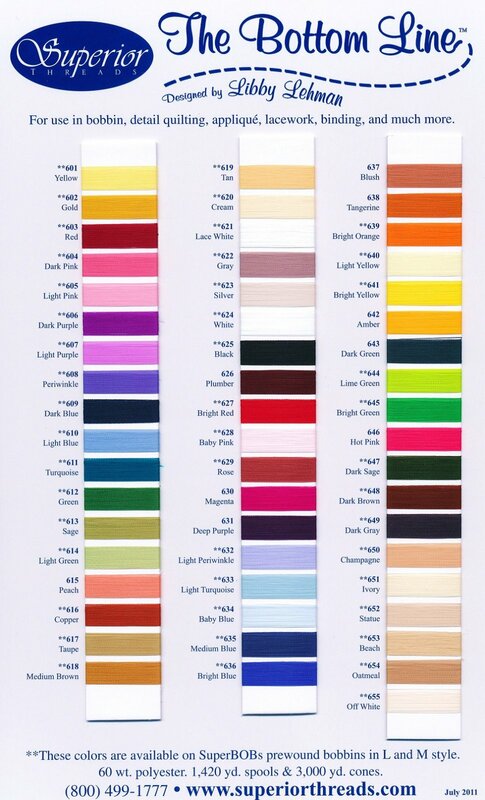 25 colors (#162-#186). 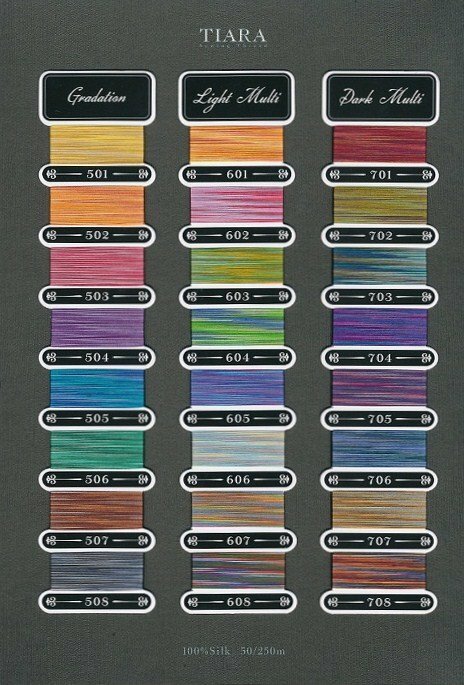 TIARA #50 Silk Color Book. 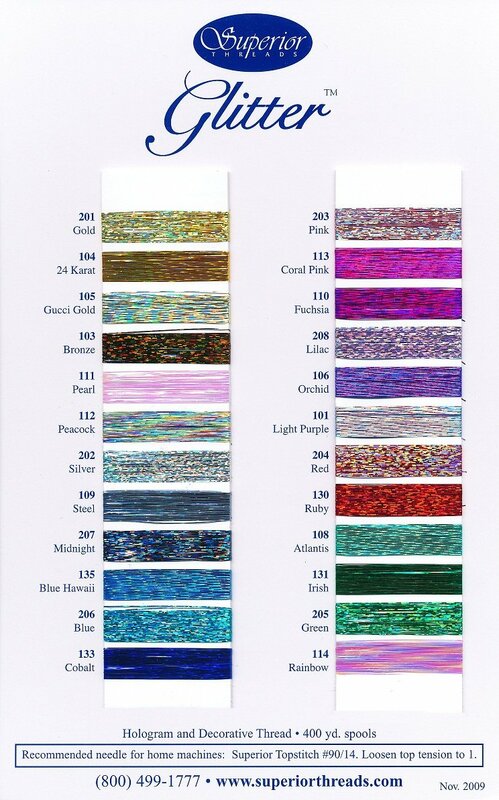 24 variegated colors. 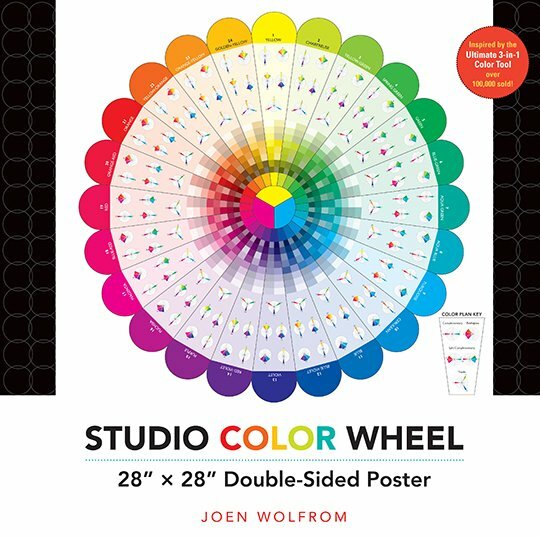 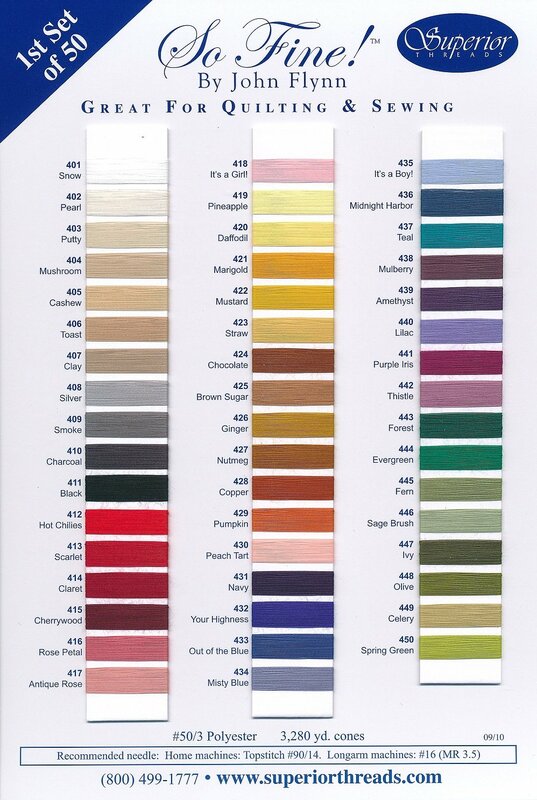 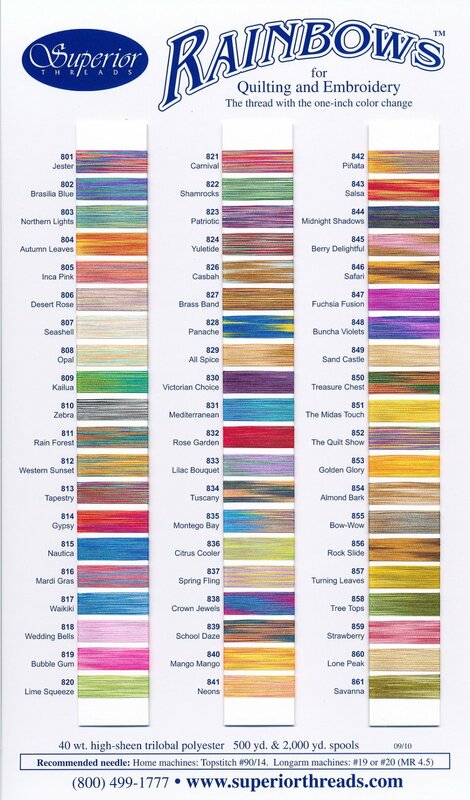 TIRE Brand Silk Color Book. 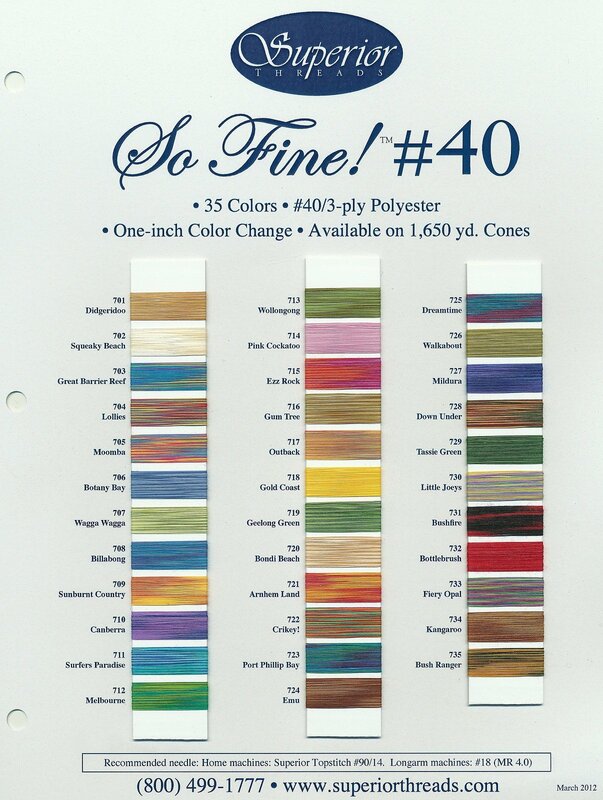 171 Colors sizes #16 #30 #50.